As your business grows and scales, it’s easy to lose touch with the problems your customers are experiencing, even the reasons you started up in the first place. If you start to lose touch, one of the places it will become really apparent is in the content you produce to help users of your product. But if you focus on having empathy with your customers it’s much easier to stay on track. To be successful you’ll need to build both cognitive and emotional empathy with your customers. With cognitive empathy, you relate to and understand how somebody is feeling, but maintain an outside perspective. Emotional empathy is different. It’s a fully experiential state where you feel the person’s feelings – you feel their actual frustrations. But how can having both cognitive and emotional empathy enable you to create great support content? To understand more how customers perceive your product, what they love about it, and how they use it, you need to surround yourself with information about exactly that. The goal at Harley Davidson is not to show off what amazing products they’re selling. The goal is to create a working environment where it’s impossible not to learn about their customers’ lives. We do the same thing here at Intercom. As you enter our office you’ll see posters describing who our individual customers are, what their business does, where they’re located, what they look like, but also which Intercom products they own, what they use them for, and what they think about them (good and bad). Other ways we connect with our customers’ and their frustrations is through customer days (where we each join the support team for a day), frequent surveys, conversation analysis, and lots of 1:1 user interviews. This is far more than just keeping track of what new features you release. Rather, you need to fully understand exactly why features were built, and what problem they solve for your customers. Talk to your research and design teams to understand the motivations behind the design. Talk to your support team to understand any customer issues with it. And talk to you engineering team to understand its limitations. Use this knowledge to create help content that will communicate that you’ve tried to understand your customers’ goals and frustrations. Here’s an example. When we built our User Map, the design team discovered that people were using it in ways we never intended. So we improved its design to match how people were actually using it. Your map is ideal for showing off how many customers you have at trade shows, and where they all are in the world. The user map is also ideal for impressing potential investors, without exposing sensitive data about your user base. If you’re creating content describing a solution to a problem you’ve never experienced, you’ve gone wrong along the way. You need to immerse yourself in the world your new users are coming from – a world without your product. Immerse yourself in the world your new users are coming from. For example, imagine a world where someone wasn’t using Intercom Engage to send targeted email and messaging campaigns (hard to believe, right?!). First they’d have to try and sketch a long and complex decision tree of all the potential outcomes and dependencies for each message. Then they’d have their colleagues look over it for mistakes, input all the data into an automated marketing tool, and probably have an expert configure it. And even then there’s no guarantee that the right people get the right messages at the right time – particularly if the user’s response to a message hasn’t been anticipated in advance. It’s time consuming, complicated, and frustrating. Anyone can create a targeted rich message campaign in minutes. There’s no headache inducing decision trees, and no complex configurations. Rather than trying to guess the pathways people might take in your product, Smart Campaigns will adapt the order of messages to match user behavior. Here’s how…. If you’ve experienced the issue you’re writing about, you’ll build rapport with the user, and you’ll write effective content, with compassion. We’re lucky at Intercom that we’re in the same business as lots of our customers. We get to use our product as users every day, so we’re always on the lookout for bugs. 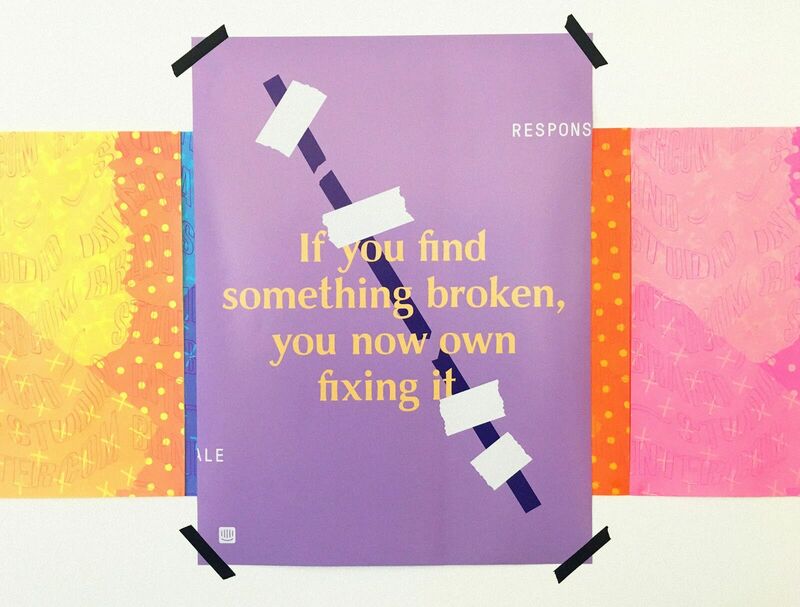 We have posters hanging around our office that say “If you find something broken, you now own fixing it”. As well as fostering a culture of ownership, actively finding and reporting bugs exposes us to the actual pain our customers are feeling with our bugs. If you’re trying to export multiple users at once, the group export feature can sometimes take quite a while – sorry 🙁 we’re working hard to get that running faster. In the meantime, a workaround is to manually enter each email address of your users, separated by a comma, and hitting Export. You’ll get your CSV by email right away. It’s easy to focus on the ideal path a user will take, write a guide or two, and call it a day. But every product has bugs and limitations – don’t ignore them. You’re best placed to help your customers navigate them with compassionate content. Empathy is more than a warm and fuzzy notion best suited to Hallmark greeting cards. It’s about working hard to understand your customers. When you sit down to write help content, there’s less speculating on what problems they might have, on what to say, and on what tone to use. You’ll know your product, you’ll know its issues, you’ll know your customers. So you’ll know what to write.